Chiropractic Care - Traditional form of chiropractic care consists of manual adjustments that correct a spinal misalignment to relieve nerve pain and impingement, improve nerve function and reduce musculoskeletal strain. Koren Specific Technique (KST) - This low-force technique uses applied kinesiology protocols to analyze your body's function and structure, allowing use to make corrections via an adjusting instrument. Graston Sports Therapy - The Graston Technique employs a handheld instrument to locate and undo adhesions, lumps of internal scar tissue that inhibit motion and cause pain. This makes it a valuable means for helping athletes conquer old injuries once and for all. Craniosacral Stress Therapy - This therapy focuses on adjusting the alignment between the spine and the head, relieving blockages that trap stress and anxiety within the body. Cox Spinal Decompression - This technique uses a special table to deliver flexion-distraction force for disc problems and degenerative spinal conditions. Cold Laser Therapy - A "cold" laser passes harmlessly through the skin to treat underlying tissues and joints. This therapy stimulates cellular regeneration while relieving pain and inflammation. ZHT Sleep Disorder Therapy - ZHT combines breathing exercises and oxygenation sessions to help you conquer snoring and sleep apnea. Massage Therapy - Massage therapy relaxes major muscle groups, boosting circulation and busting your stress while relieving aches and pains. Deep Tissue Therapeutic Massage - Deep tissue therapy loosens submerged muscle groups that lighter techniques such as Swedish massage can't reach. Trigger Point Therapy - Trigger point therapy releases muscle knots called trigger points that refer pain throughout the body (as seen in conditions such as fibromyalgia). Acupressure Therapy - Acupressure manipulates the same strategic points on the body as acupuncture, only without any need for needles. We may prescribe it to relieve pain and to promote proper nerve function. 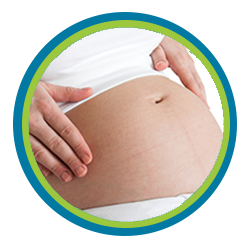 Pregnancy Massage and Chiropractic - Pregnancy massage works to relieve sore muscles and improve lymph flow, while pregnancy chiropractic helps you optimize your spinal alignment for a healthy natural delivery. Pediatric Chiropractic - Children benefit from chiropractic care too. Regular pediatric screenings and adjustments can help children enjoy optimal growth and development. Auto Accident Injury - Our personalized combination of chiropractic car, massage therapy and other techniques can help you recover from an auto accident injury more swiftly and completely. Work Injury - A work injury can make earning a living painful or even impossible. We can provide a combination of treatment and ergonomic advice to help you recover from (or avoid) a work injury. Pain Management - Our pain management techniques, from periodic adjustments to massage therapy and acupressure, can help you control chronic pain symptoms without relying on painkillers. We service clients in the following areas: Scottsdale, Mesa, Tempe, Phoenix, Chandler, Paradise Valley and Fountain Hills. 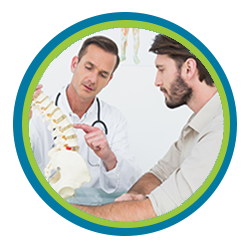 Our chiropractor extends these services to patients in Scottsdale, Mesa, Tempe, Phoenix, Chandler, Paradise Valley and Fountain Hills. If you're interested in finding out first-hand what our methods can do for you, call (480) 994-4411 today to schedule a consultation!